In a breakfast rut? We are always looking for new breakfast ideas that are fast and easy. 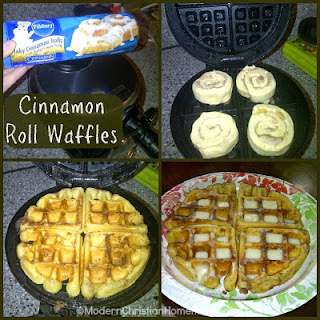 We like this Cinnamon Roll Waffles recipe from ModernChristianHomemaker. Who knew you could use your waffle iron like that????!!!!?? ?